I can describe how changes in production in the early 1900s lead to American industrialization. Technology is the use of science to invent useful things or to solve problems. It was new technology in the form of new inventions and innovations that allowed the U.S. to run industries and convert natural resources into products that people could use. Innovations are new ideas, improvements, or ways of doing things. Many new inventions and innovations were introduced in the late 1800s and early 1900s. These inventions and innovations allowed the development of new technologies. 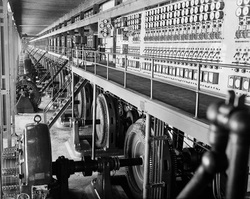 These technologies paved the way for U.S. industrialization. No other man contributed more to new technology during the Gilded Age than Thomas Edison. He was a scientist and an inventor. During his life he patented 1,093 inventions. 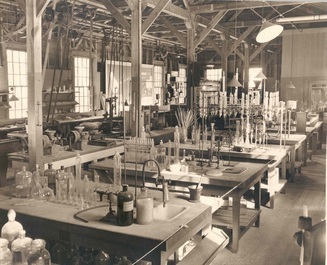 Edison created the first research and development lab in the world in Menlo Park, New Jersey. He called this lab the "invention factory." His inventions earned him the nickname "The Wizard of Menlo Park." 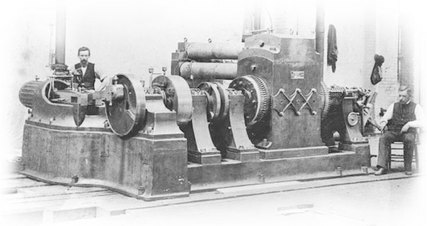 Edison's four most important inventions were the electric light system, the phonograph, motion pictures, and the alkaline storage battery. Any one of these inventions would have hugely impacted the world; and Thomas Edison invented all four! 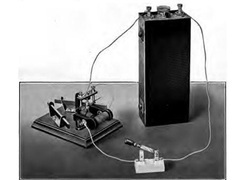 Edison also made improvements to the telegraph, the telephone, and cement. He even developed a substitute for rubber. Edison's had many educated people working for him. He called them his "muckers". A great scientist and inventor named, Isaac Newton once said, "If I have seen any further it has been by standing on the shoulders of giants.” Newton died long before Edison was ever born, but what he had to say describes how Thomas Edison contributed most to U.S. industrialization. Newton was talking about innovation. 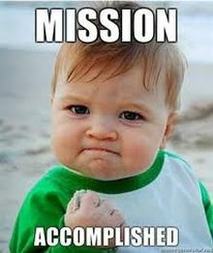 When you gain success by making something better, it is an innovation, not an invention. This is because someone else had the idea originally. Newton was saying that he simply took others great ideas and tried to make them better. He would have had no success at all, if not for the person who had originally had the idea. Now Thomas Edison did invent many things but many of his successes were actually innovations. Many people give credit to Thomas Edison for inventing the electric light. Edison did not invent it. He innovated it. He made it better by making changes to it. In Edison's time, electric lights were very, very bright so people didn't want them inside their houses. They also did not last very long. 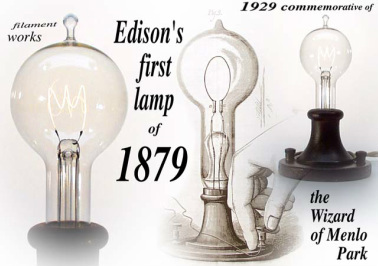 Edison innovated the electric light by changing the way the light worked. He created a bulb that would not shine so brightly and would last much longer than the electric lights before. More importantly, he was able to create this bulb inexpensively by manufacturing it. It was the fact that Edison was able to make large amounts of light bulbs, quickly, and inexpensively that was the true innovation. This is because it not only opened up electric lighting to the middle class and poor, but it was the beginning of Edison's most important innovation, the electric lighting system! This is one of six dynamos from Edison's Pearl Street Station. The light bulb was a break through in modern technology during this time, but it was Edison’s system of electric lighting that changed everyday life for people all over the world. Edison figured out how to create an infrastructure for lighting buildings and homes in whole towns. Infrastructure is the basic parts and equipment that are needed for a service to function properly in a city or region. Edison was able to create electric lighting for whole towns by using light bulbs, electricity generators, wires to get the electricity from the power station to the homes, plugs for lamps, wall sockets, switches for the light bulbs, and many other things. Edison’s first electric lighting infrastructure was the Pearl Street Station in New York City’s financial district. It sent electricity to lights in 25 buildings on September 4, 1882. Edison did not only change the way we lived, he also changed the way we played. In 1877, Edison invented the phonograph. The phonograph was the first way that people listed to recorded music. 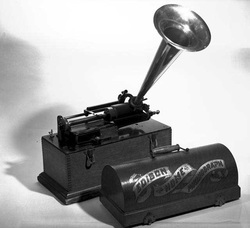 The phonograph would create a chain of inventions and innovations in the way people listed to music. The phonograph evolved into the record player. The record player was replaced with cassette tapes. Cassette tapes quickly gave way to CDs; and as you know, today, music can be listened to digitally over many different electronic devices. In 1888, Edison began working on a motion picture camera, called the kinetograph, and a machine for watching movies, called a kinetoscope. Motion pictures changed the entertainment industry forever. Soon, movies would become one of the most popular forms of entertainment and televisions would become a common fixture in American homes. In 1901, Edison invented the first alkaline storage battery. 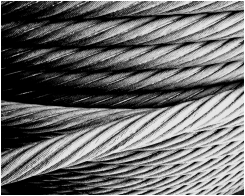 It was used in railroad signals, miners’ head lamps, and marine buoys. Edison would be shocked to see how this battery evolved into the batteries of today. He would be even more shocked to see all the things that the alkaline battery can power. 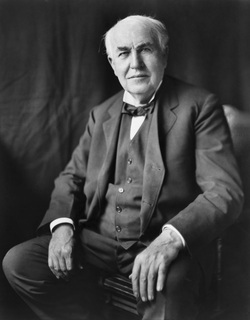 If not for the positive attitude and hard work of Thomas Edison, industrialization would not have been as successful or come as quickly as it did. Thomas Edison's inventions and innovations directly contributed to industrialization, but there were other inventions and innovations that indirectly led to industrialization. As you know, directly means that it is obvious that one thing has influenced another. Indirectly means that one thing influences another in way that might not be obvious at first. Many new advancements in the medical and health fields led indirectly to U.S. industrialization. In 1870, a French scientist named Louis Pasteur made two important discoveries. Pasteur proved that there was a link between germs and disease and he proved that killing germs stopped the spread of disease. In the 1880s a German doctor named Robert Koch discovered the germ that caused tuberculosis. Tuberculosis was a disease in the lungs and was one of the most deadly diseases of the time. Their discoveries led to the germ theory. The germ theory was the idea that diseases were caused by microorganisms or germs. These discoveries might not be a big deal to you, because now, most people know that germs cause people to become sick. But before Pasteur, people did not know that there were germs that caused diseases. The germ theory led people to begin washing their hands more often, cleaning living spaces better, and staying away from those who are sick. The germ theory not only changed the way everyday people took care of themselves but it also paved the road for the medical industry. In the early 1800s, many people developed infections after surgery and died. 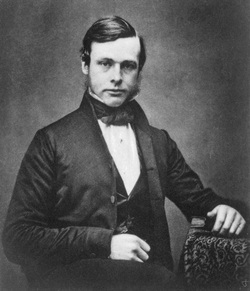 Joseph Lister was a German surgeon who believed that germs caused the infections that killed many patients after surgery. Lister began insisting that surgeons use antiseptics to clean their hands and instruments before surgery and to clean patient wounds as well. Antiseptics are substances, usually liquids, that kill germs. Antiseptics drastically reduced the amount of deaths from infection after surgery. Another very important discovery came a little later in 1928. It is considered by some to be the most important discovery of modern medicine. 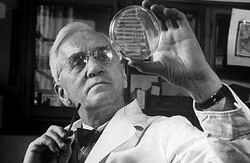 An English Scientist by the name of Alexander Fleming discovered that a mold called Penicillin killed germs. Penicillin was the first antibiotic drug. Antibiotics are drugs that attack and kill germs. Today, antibiotics are given frequently for things we consider to be minor illnesses; but before antibiotics, even illnesses as minor as ear infections could be deadly. Another change made was on the way food was preserved, produced, and distributed. The germ theory made people aware that germs in food could cause illness as well. Drying, curing, and smoking were ways people used to preserve food to keep it from spoiling. The germ theory helped people to understand that methods were also needed to kill germs in food. Another way to preserve food was by canning. Canning food is a way of preserving food by putting food in airtight jars or containers. 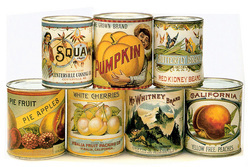 Canning not only cut down on contaminated food, but it also helped to preserve some of the vitamins in the food. A man named Peter Durant improved canning when he invented the metal can and the process of sealing and boiling the cans to keep them free from bacteria. 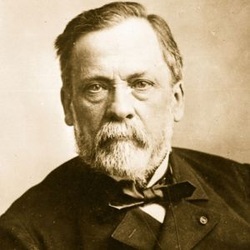 Another important change in food production was created by the man who helped to teach people about germ theory, Louis Pasteur. 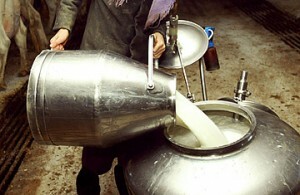 Pasteur came up with with a way to kill the germs and bacteria in milk called pasteurization. Pasteurization is the process of killing bacteria or germs with heat. When milk was heated before drinking, it killed the germs and also allowed the milk to stay good for about 2 weeks in an icebox. As the germ theory became accepted by more and more people, changes were made to prevent the spread of germs. One major change was the building of underground sewage systems. Before the underground systems, people emptied waste buckets in the rivers and streets spreading disease and contaminating drinking water. 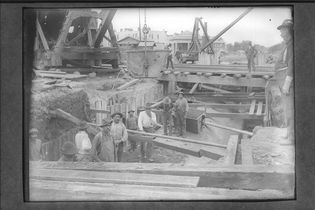 Underground sewage systems greatly cut down the number of illnesses and diseases like cholera and tuberculosis. Another invention that changed life for people was the invention and innovations made in photography. 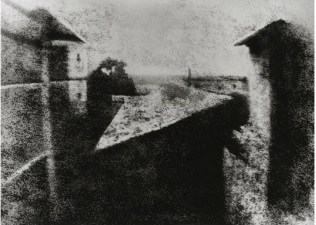 Joseph Nicephore Niepce changed the world when he produced the very first photograph in 1827. It was really blurry and you couldn't quite make out what he had taken the photo of, but it was the first step in making pictures. Louis Jacques Mande Daguerre learned how to use chemicals to produce photographs. When Henry Fox Talbot invented the negative, it became possible to create multiple photos from one picture. 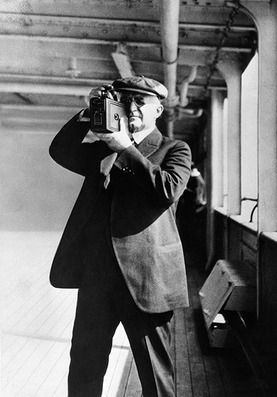 No other man innovated photography more than George Eastman. Eastman invented the box camera. In 1889, he invented flexible, unbreakable film that could be rolled up. Eastman then mass produced the camera and film in factories. He made it possible for people to afford cameras. People still wanted professional photographers to take portraits, but Eastman's camera and film allowed people to take pictures of events that occurred in their everyday lives. Many new technologies came together allowing products to be mass produced and sold at a cheaper price. Some of the technologies directly led to industrialization; others indirectly led to it. No one technology alone led to industrialization. It was the combination of many technologies used to solve problems and improve life combined with the timing in which they developed that led to the industrialization of the United States. As a class, we will read, discuss, and answer the following questions. You may take notes to help you with your Lesson Chronicles if you like, but notes are not required. 1. What technologies directly led to U.S.
were innovations? Explain your answer. technologies? How did these people do it? 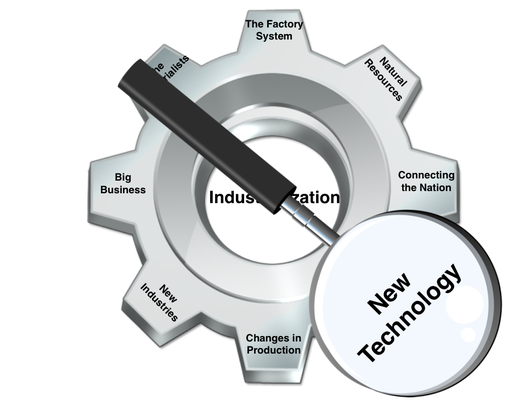 In this activity, you will work in your small groups to analyze how the inventions that contributed to industrialization changed life for Americans today. Below you will see an online work page to help guide your discussion. One member of the group will record the group's answers on the class forum. For each invention or innovation, discuss how it might have lead to U.S. industrialization and how the invention or innovation effects the people of today. 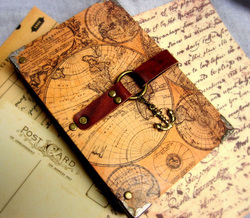 Determine which inventions and innovations were the most influential on our lives today. Then rank the inventions and innovations in order of importance. Be ready to defend your rankings in a whole group discussion. What were the new technologies that led to U.S. industrialization in the Gilded Age? Lesson Mission: I can describe the new technologies that led to U.S. industrialization in the Gilded Age. You have completed the Lesson 4 Lesson Module!